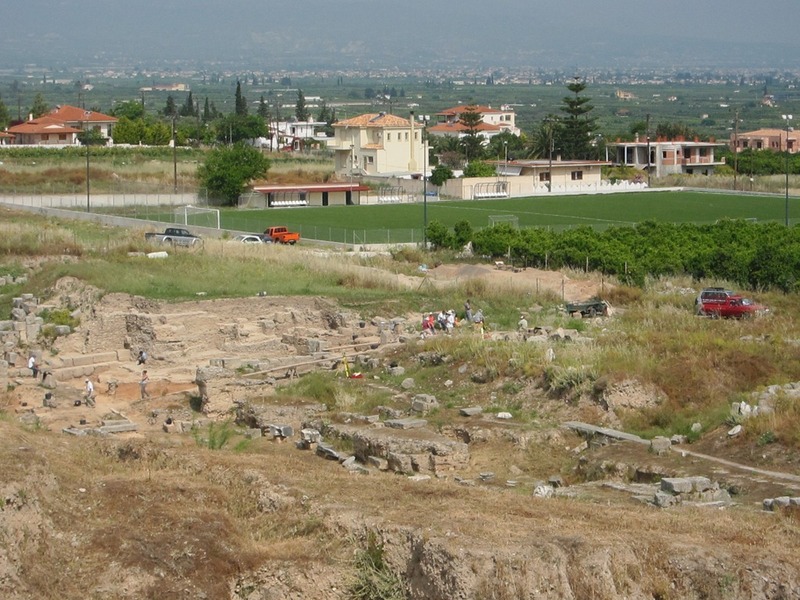 In the late spring and early summer, we reported on new excavations in Corinth in the area northwest of the theater. The latest issue of Expedition from the Penn Museum includes a preliminary report by C.K. Williams II titled “From the Field—The Corinth Excavations of 2011.” In the document (available here as a PDF), Mr. Williams describes a late antique layer of butchered animals (mainly cattle) from the West Hall of the Roman Theater.